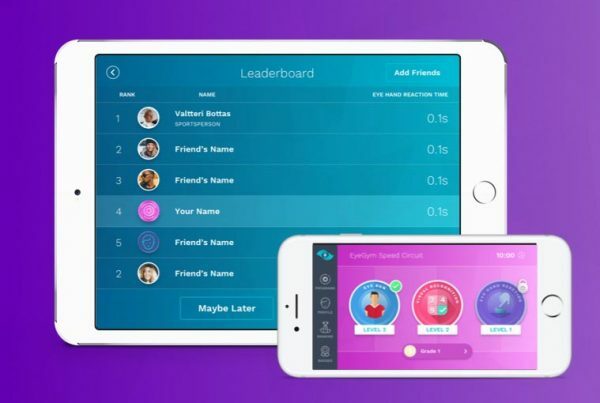 Science proven in the field, now available as an app. 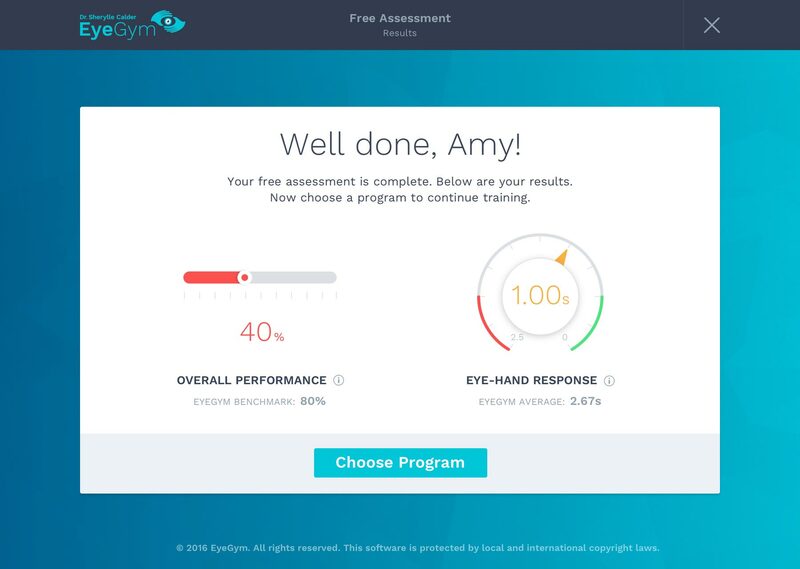 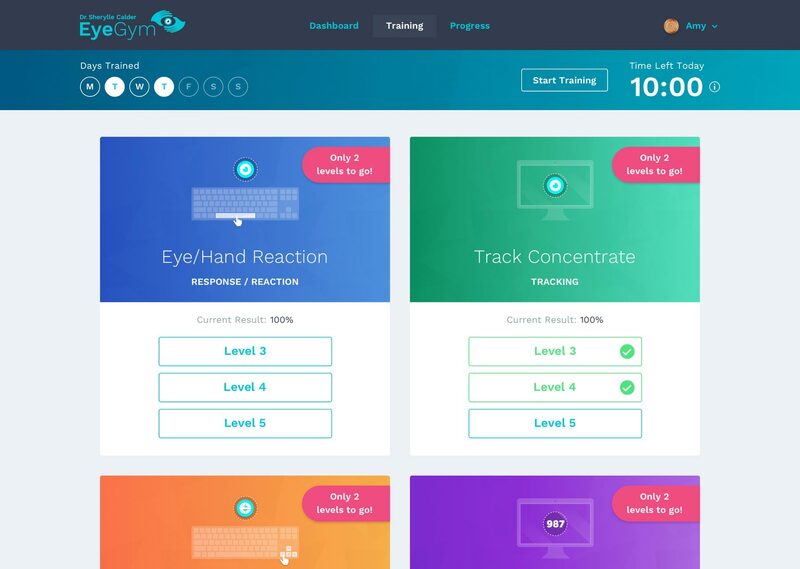 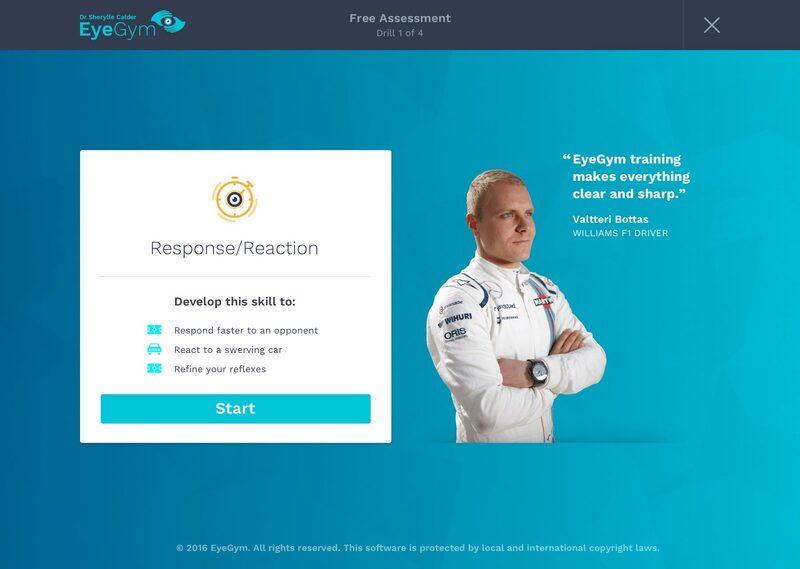 EyeGym is online Visual Intelligence Training that unlocks your potential to make faster, smarter decisions. 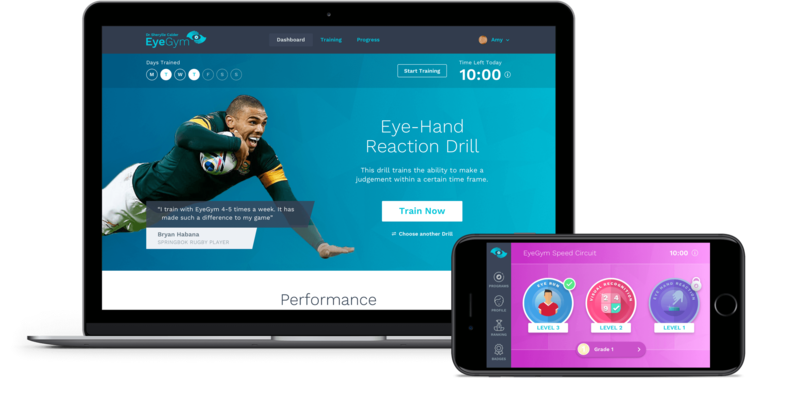 Developed by Dr. Sherylle Calder, the app was originally created to help Dr. Calder continue her consultation with athletes beyond the training field. 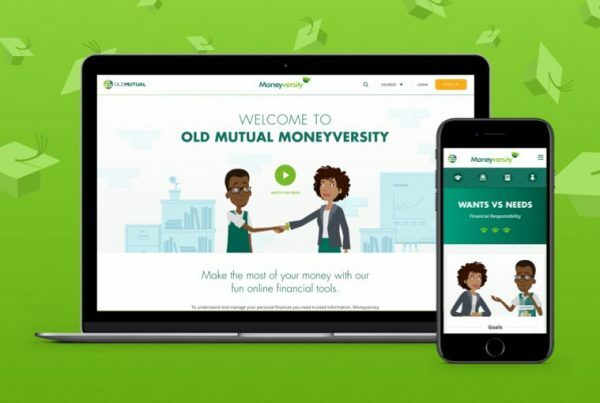 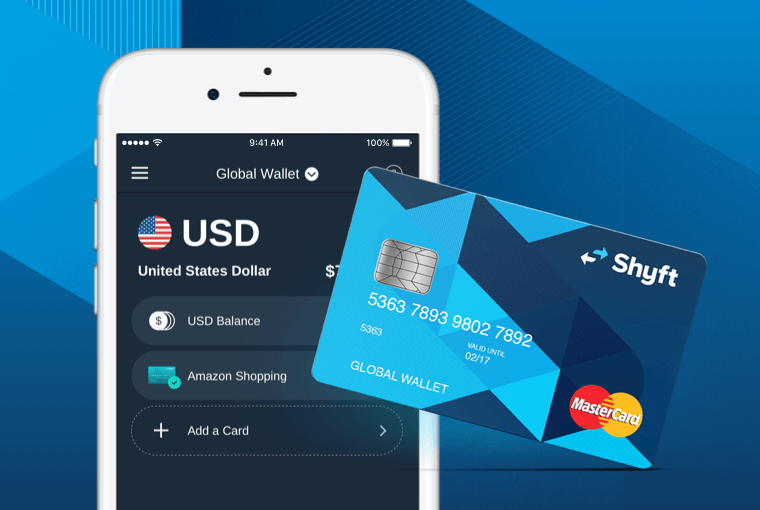 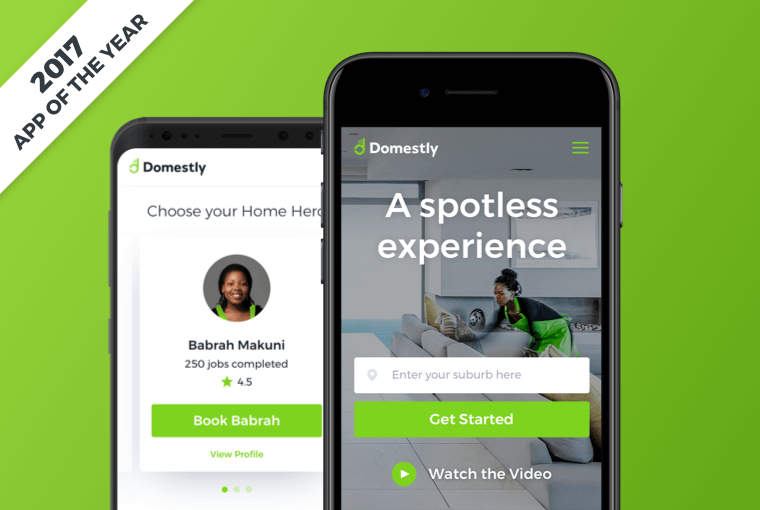 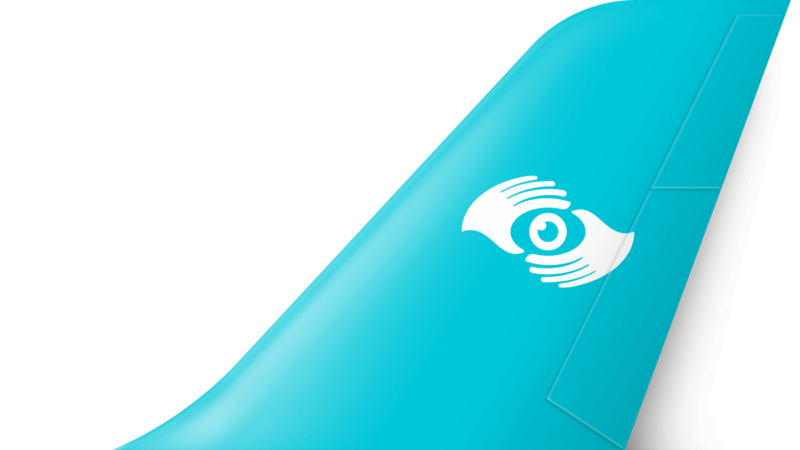 Now Boarding were tasked with creating an appealing brand and user friendly app suite, using gamification principles to enhance user engagement. 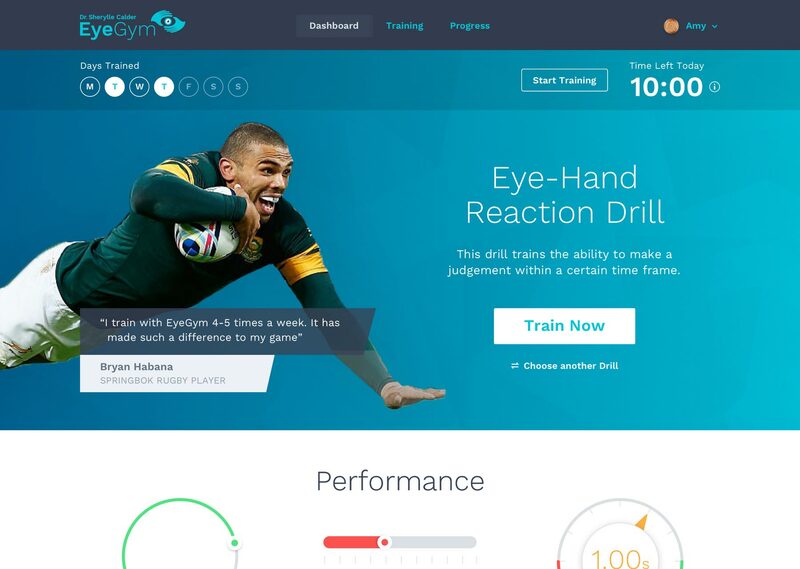 The EyeGym brand was designed to be professional and technological, with the Eye-Hand concept clearly visible. 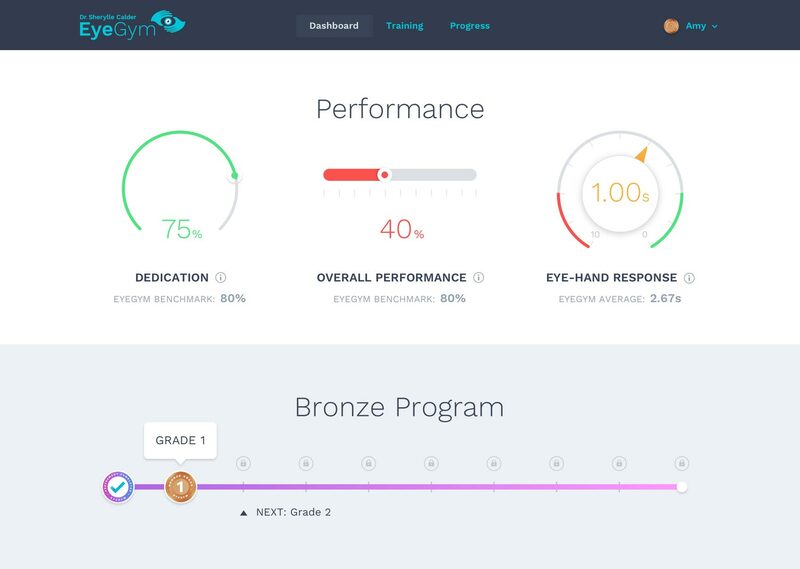 The icon set was carefully considered to reflect the 7 key skills developed by training with EyeGym. 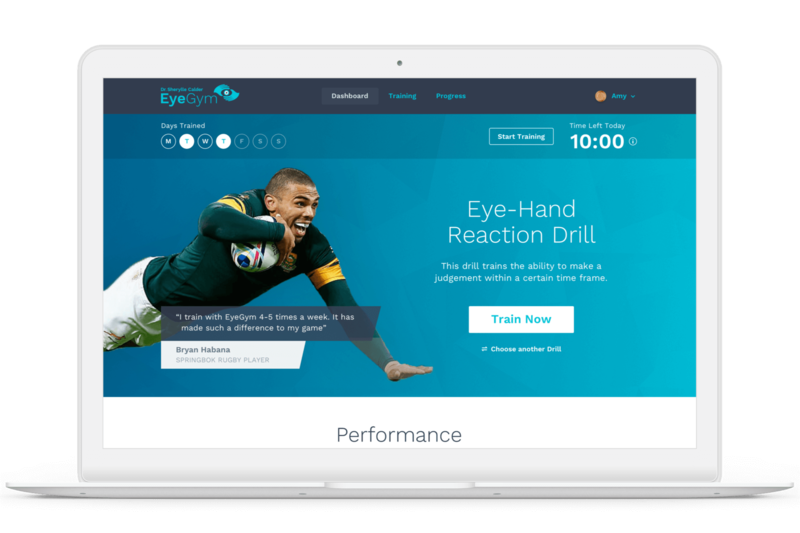 After a drill is completed, immediate feedback is essential to give users insight into where they can improve. 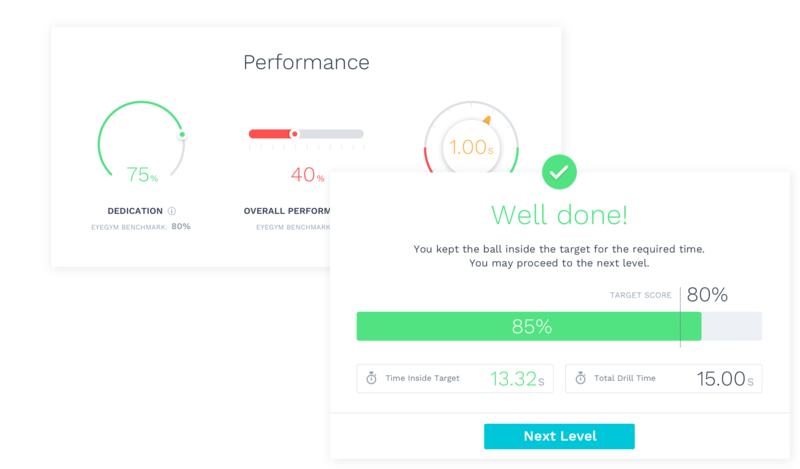 Feedback screens share information like how committed is the user to regular training, how their speeds are improving and whether they have achieved the expected score for their level. 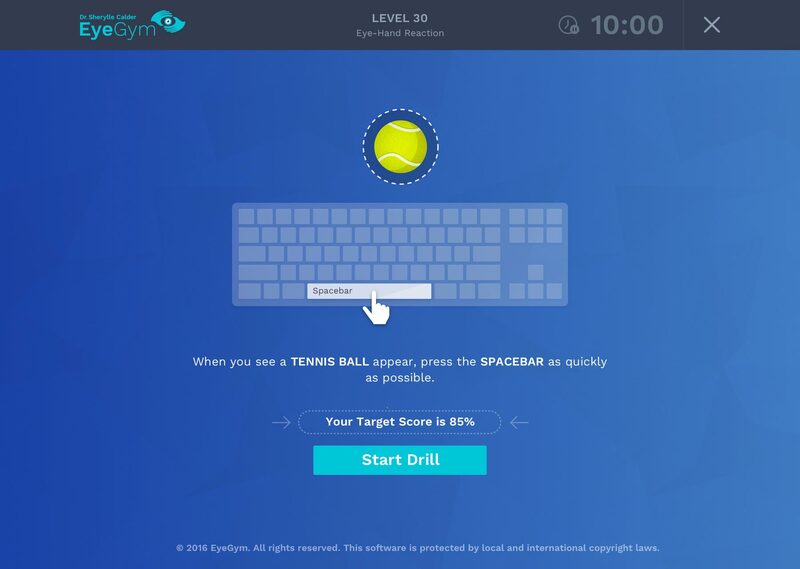 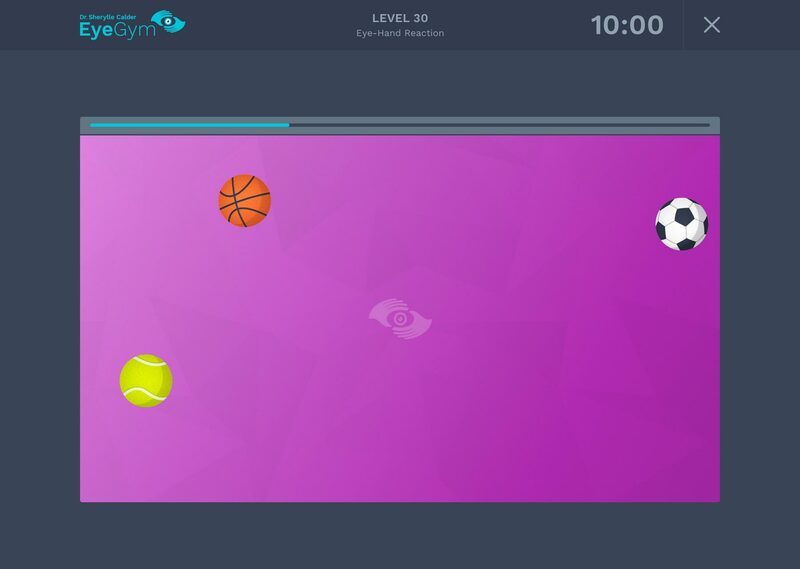 Points are earned within a drill that relate to the 7 keys skills of EyeGym. 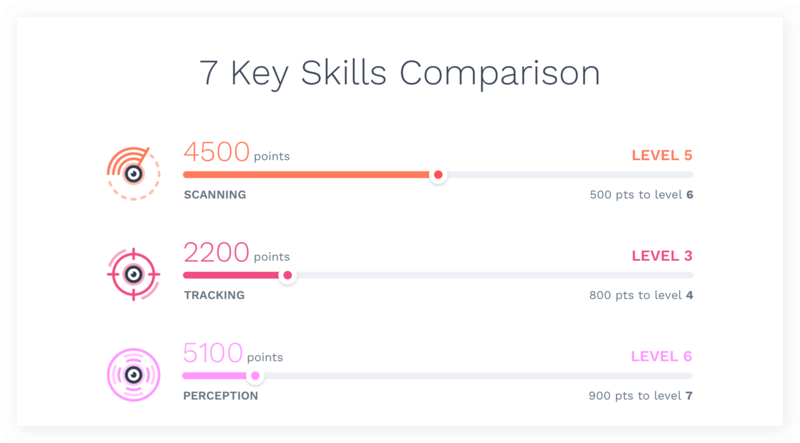 A user can gain insight which skills they are developing, and which skills need more work.